I know many people who love sunburst mirrors. You can find blog post after blog post on the internet of people curating and commenting on their favorite sunbursts. 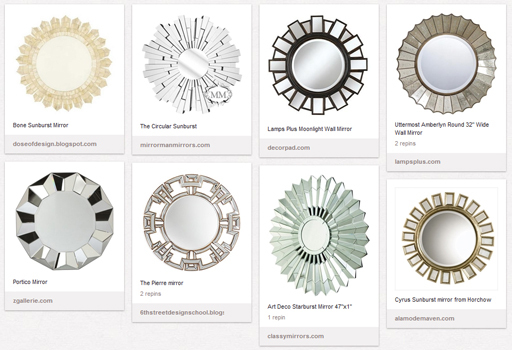 Here’s my collection of sunburst mirrors, curated for inspiration. Modeled and rendered with Shade 12 (path tracing). For the background seen on the reflection I used a HDR light probe image from the Light Probe Image Gallery by Paul Debevec. 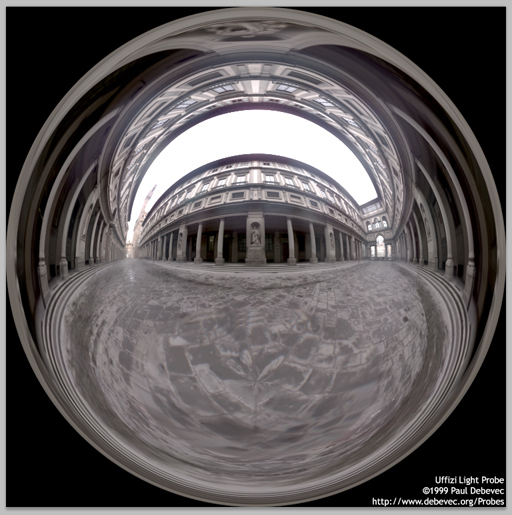 It’s a view of the Uffizi Gallery in Florence. Would love to visit there one day! Do you have a favorite sunburst mirror? Do share with me in the comments section below. Art Deco Sunburst Wall Mirrors – a selection of Art Deco mirrors at my interior furnishings site. An Art Deco Bed – my 3D model of an Art Deco bed. You just finished reading An Art Deco Mirror. Please consider leaving a comment! 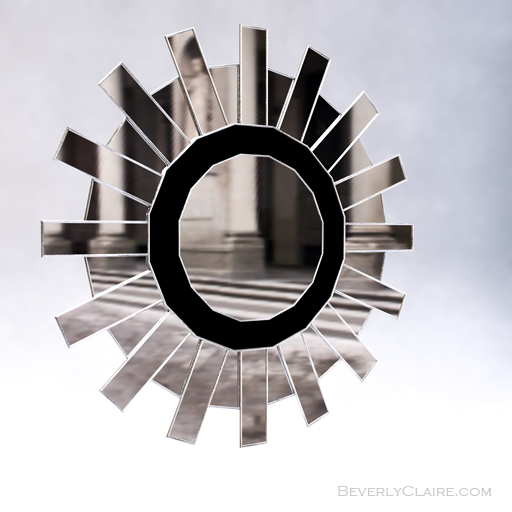 This post is from the 3D viz and photography website, Beverly Claire Designs. If you are not currently reading this via designs.beverlyclaire.com, then this post may have been stolen or scraped from the Beverly Claire Designs site. Republishing this article in full or in part is a violation of Copyright Law (c)2010-2014, All rights reserved.